Mark LaFerney is an artist, crafter and blogger. He has an affinity for all things handmade. Mark is a huge holiday enthusiast with a soft spot for Halloween. 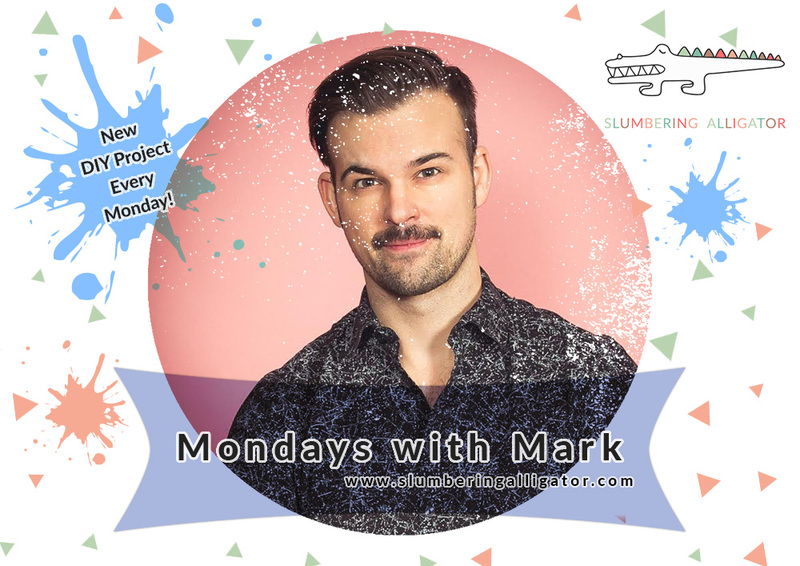 He is the creator of slumberingalligator.com where every Monday he posts a new whimsical DIY project. His goal is to share projects that are affordable and approachable. This year I decided to create my own holiday windows after being disappointed by the Macy's State Street Chicago rehash of their 2016 holiday windows. In this mini-doc, Enero from www.pillbox79.com beautifully captured the creation process and the final window unveiling. My intention is/was to bring some joy and magic to all who pass by. I hope this video delights and inspires you this holiday season. This project is very special to me. Mark has a great idea for re-purposing a common household item. I’m showing you how to make Man-Eating Pods that are perfect for Halloween. Mark show you how to create a dazzling suncatcher from simple materials. Learn how to create these adorable beach ball lanterns. They are the perfect decoration for any summer soirée.